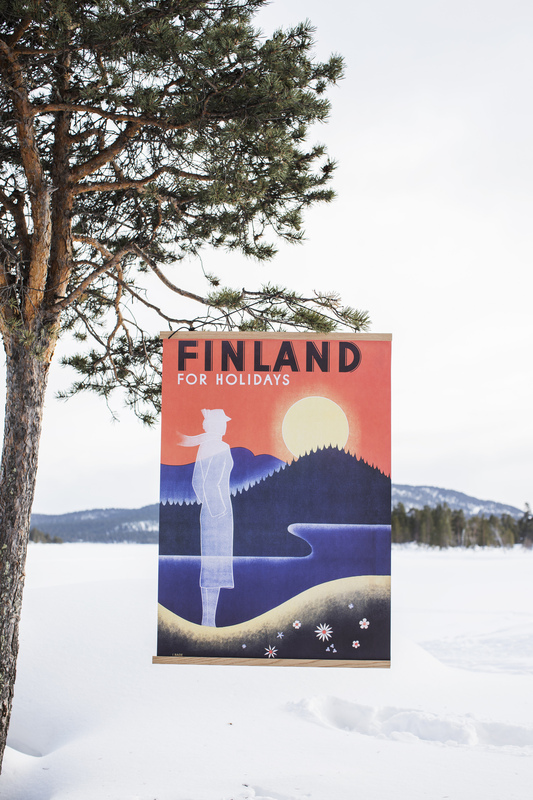 Our posters are printed in Finland on high quality matte paper by using traditional offset technique. The poster is delivered in a durable Come to Finland poster tube. In the 1930s Finland started to realize what the tourists really wanted. They wanted something truly exotic: They wanted peace and nature. One of the people who actively contributed to spreading the message about Finland being a nature paradise was the Swedish graphic designer and artist Ingrid Högström-Bade (1908–1989). 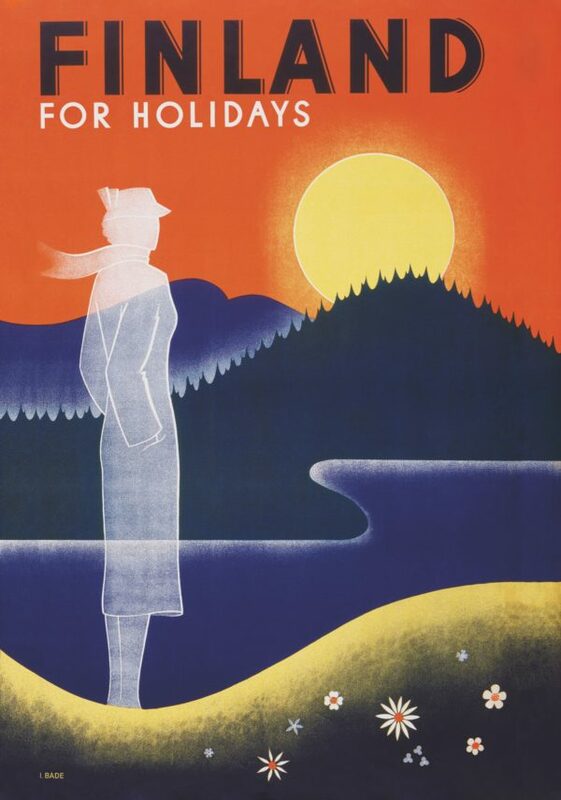 This poster were originally commissioned by the tourism promotion organisation Suomen-Matkat / Finlandsresor in co-operation with the Finnish State Railways. It was printed at the famous Finnish printing house Tilgmann. There’s actually also a boy version of this poster in the same style and color, but we’ve never managed to find an original. The hunt continues!